Always a Mother . . . Always a Friend . . .
that's what you are to me! 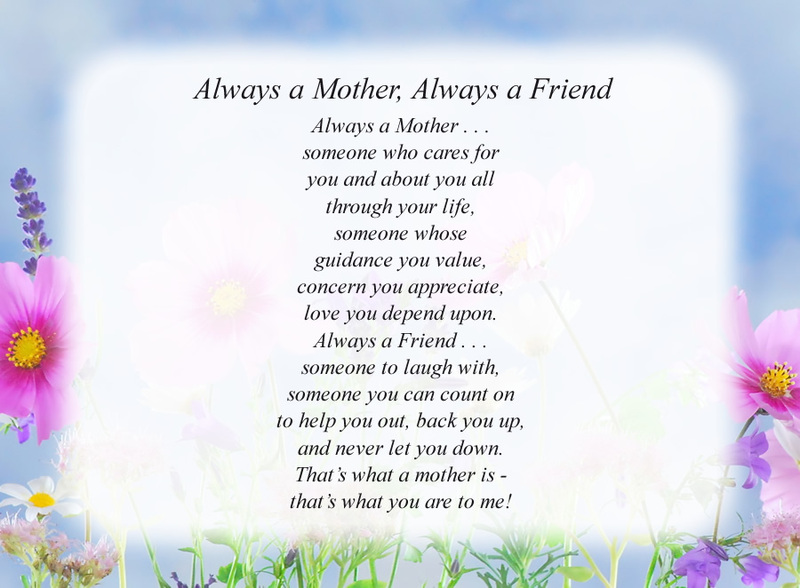 The poem, Always a Mother, Always a Friend, is free and printable by opening or downloading using one of the three links below.